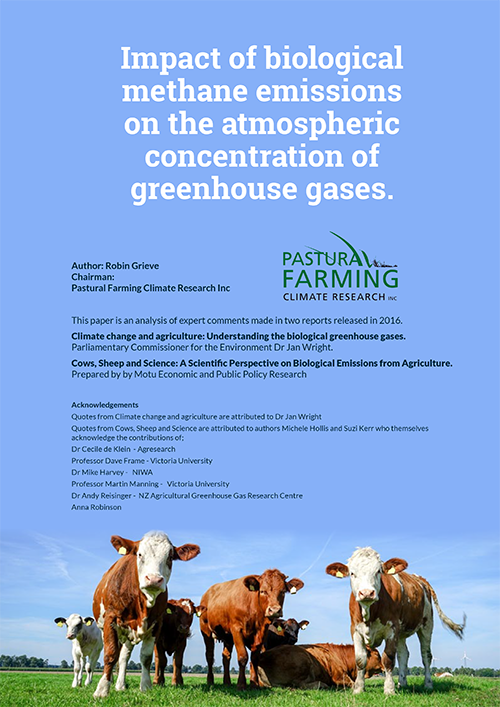 Promoting livestock methane emissions as sustainable and not responsible for global warming and advocating fairness for agricultural producers under any carbon emission laws or regulations. COWS BELCH METHANE; SO WHAT? The jury is in: Report Confirms Livestock emissions of methane are not causing global warming. Climate Scientist Professor Myles Allen tells politicians they have it wrong about methane. Distinguished climate change specialist to talk about methane. Dairy NZ kicking farmers in the guts over methane.